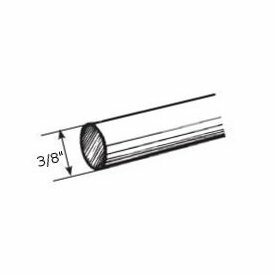 This curtain rod is designed to commercial quality specifications demanded by hospitals, hotels and other commercial buildings where high traffic and abusive use is prevalent. Yet, it's sleek 3/4" x 1" profiles blends into any home decor with ease. Order in 20 foot increments. Baton draw, ceiling or wall mount. For pinch pleat or ripple fold drapery systems. 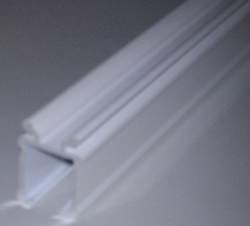 Extruded aluminum finished in white. Maximum weight 80 pounds on two way draw, 40 pounds on one way draw. Maximum length 40 feet butted Priced by the foot If cut sizes are less than 106 inches, select cut for shipping. If over 106 inches, it will have to ship by truck Price unit one foot.